Are you relocating to a new place? Moving can be a daunting task if you are planning to relocate for good. How do you handle tones of heavy and fragile stuff? How do you make sure that it is delivered to the new destination without spending too much? These questions often haunt anyone who is planning to move. To address this, you need the services from moving companies. If you are in such a situation, you will have to choose from moving companies who will offer you different services like overnight movement, fast moving or other services like packaging, unpacking, rearranging etc. There is so much competition in the moving industry that many moving companies will offer you different services to lure you. So, what are the right steps, which you must take to choose among the best moving companies? Got Movers provides you with a list of the premium movers in every region of United States. You will find only the best moving companies in your area listed on our website. At Got Movers, we understand that selecting the right moving company can be a daunting task, especially if this is your first time. There are many factors that account for the credibility, speed to delivery, support, and professionalism of movers. Got Movers brings you a comprehensive list of trusted moving companies in United States. 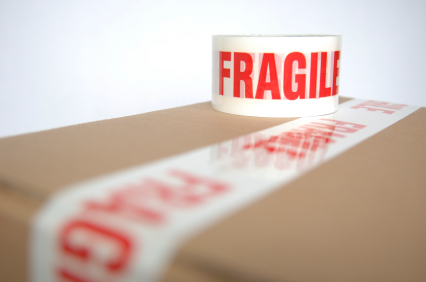 We carefully select movers to make sure that your household goods are treated with utmost care and respect. With hundreds of licensed and bonded movers in our online catalog, relocating will never be overwhelming again. Whether you are looking for moving companies in Chicago or Washington or any state in United States for that matter, Got Movers will fulfill all your relocation requirements. We provide a single point of contact for trusted moving companies in the United States. To help you make your search better, Got Movers has streamlined the searching process into a single, comprehensive quote form. You can now receive multiple quotes from moving companies operating in or near your location based on the zip codes you submit. Leveraging our knowledge and experience in moving services, we have put together a comprehensive Moving Guide to help you select among the best moving companies in your area. This essentially consists of an assortment of articles related to moving. By entrusting Got Movers with your moving needs, you are safe! We have carefully selected moving companies for your needs as we are aware how important it is to ensure that the stressful moving process is performed with utmost care and efficiency. Having a forte in providing the best movers to our clients, Got movers prides itself in ensuring the best moving company experience no matter how big or small is your moving need. The first thing to take in consideration is the type of moving service you need. Whether you need local moving, moving long distance, moving supplies, trucking or storage, there are many considerations while choosing the best moving company for your unique need. 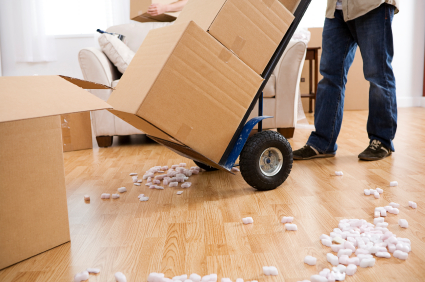 Got Movers provides you with discrete category to ease the process of choosing the best mover. Talking to your pals and relatives for any personal moving experience they might have had with any moving companies is also a good idea. You can even check out moving reviews on our website for customer feedback to judge the credibility of a moving company. When choosing long distance movers, make sure that the drivers are well trained for adverse conditions while traveling long distances. The most important thing to take in considerations is to look that the moving company is a member of trade organizations. This is helpful when it comes to solving disputes, which you might face with your movers. Moving companies often have websites where they list the services they offer and other important things, which you can check before contacting them. After, you have done all this; you will be left with a limited list of companies. Go ahead! Ask them for a quote or an estimate for your moving job. Visit their office and have a meeting with them where you can discuss all the things openly. If you require the need of storage then do check out their way of storage. Storage needs to be controlled environmentally so that no damage occurs to your precious belongings, which you are going to store in their stores. Use Got Movers to get multiple quotes for choosing the most suitable moving company today!